· Hydrostatic test of various kinds of metal/ nonmetal hoses, connectors/adapters and fittings. · Fully automatic operation controlled by PLC, supports real time display of pressure values and time, etc. · User configuration on test time is allowed, and Automatically stops after finishing tests. · Unmanned testing site monitored by camera at real time, *(optional). · All high pressure valves, pump, tubing and fittings made in USA with 316SS to guarantee the high testing precision and stability. 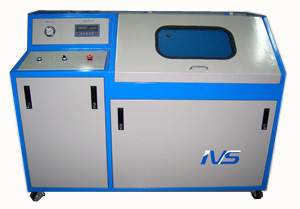 · Most of the liquid test medium are applicable. · Automatically alarms and terminates the test against over-load, overtime and leakage.